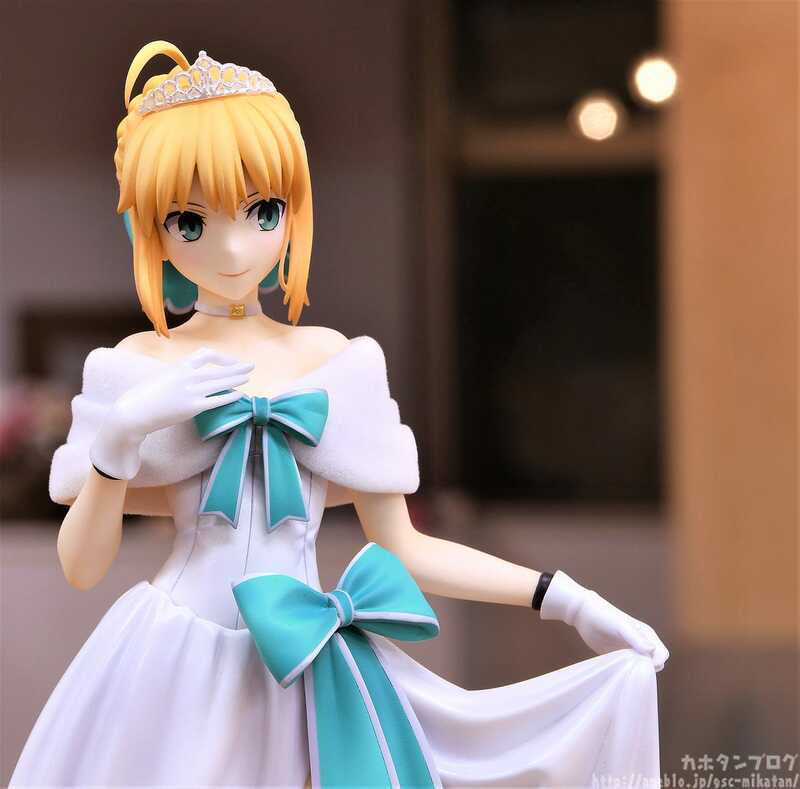 Kahotan's Blog | GOOD SMILE COMPANY Figure Reviews | Saber/Altria Pendragon: Heroic Spirit Formal Dress Ver. The cherry blossoms have fallen and we’re finally in the midst of Spring! Her joyous expression for the celebratory occasion, beautiful white dress featuring a pearl coating and the soft stole draped around her shoulders have all been faithfully recreated. Her stole has been recreated with flocking to give it a soft look and feel. 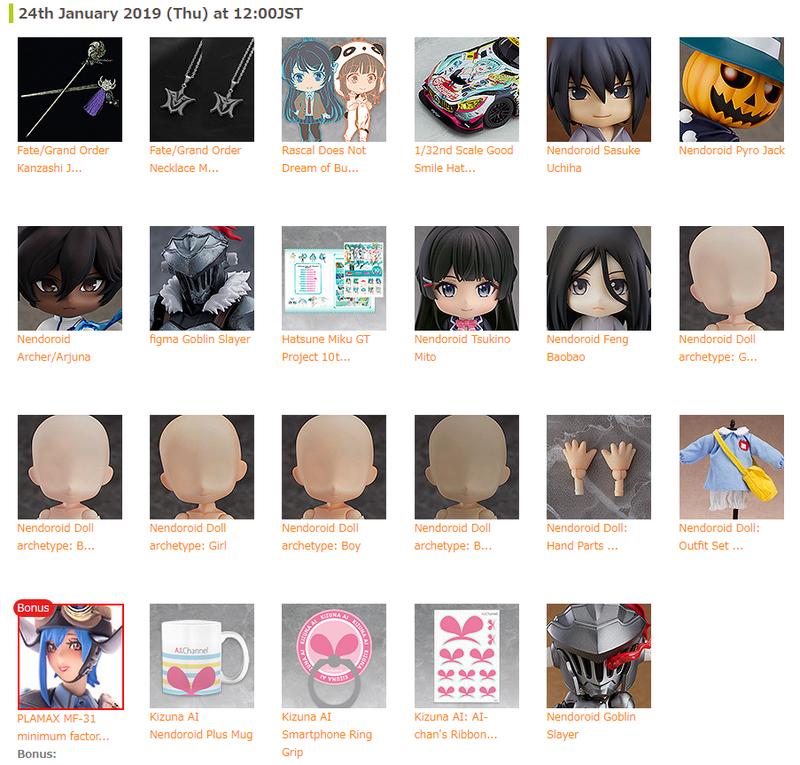 Masters, be sure to add her to your collection. 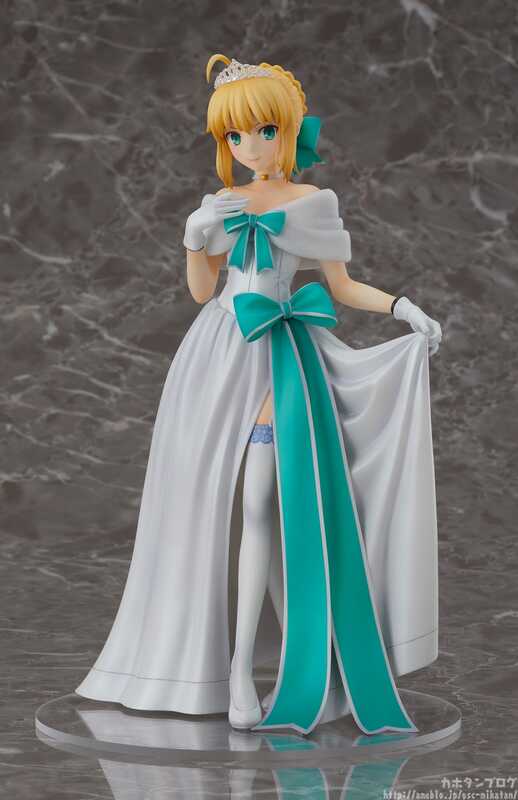 The second of the Heroic Spirit Formal Dress figure series after Shielder/Mash Kyrielight! 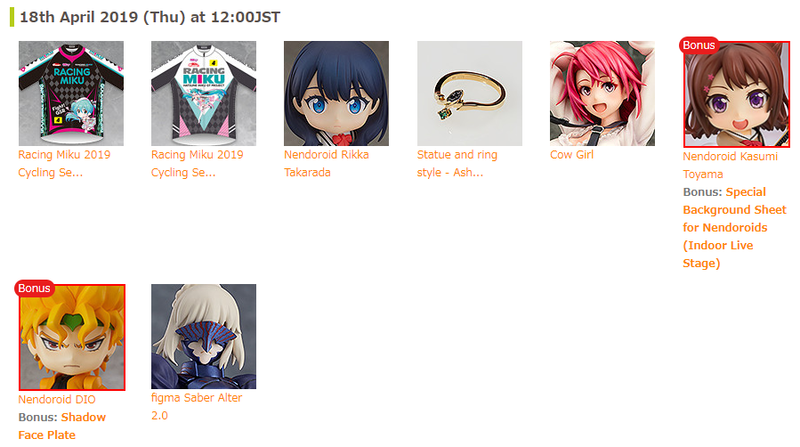 Based on her special illustration, Saber has arrived as a 1/7th scale figure! She’s arrived in her elegant formal dress! Rather than her typical blue outfit, she’s wearing a beautiful ribbon-adorned dress. While grasping her dress, she gives us a curtsy! A beautiful appearance for a celebratory occasion! Let’s first take a look at her face! Her tiara is made with translucent parts and pearl coating. It makes for a very pure appearance!Her tiara shines as though made with real diamonds! Next let’s take a look at her off-shoulder dress! The same style of dress as Mash! I want to focus on her stole’s soft appearance! Compared to the rest of the dress, her stole has been recreated with soft materials! Using a special manufacturing process known as flocking, we’re able to add small amounts of material to the stole for a soft look and feel! 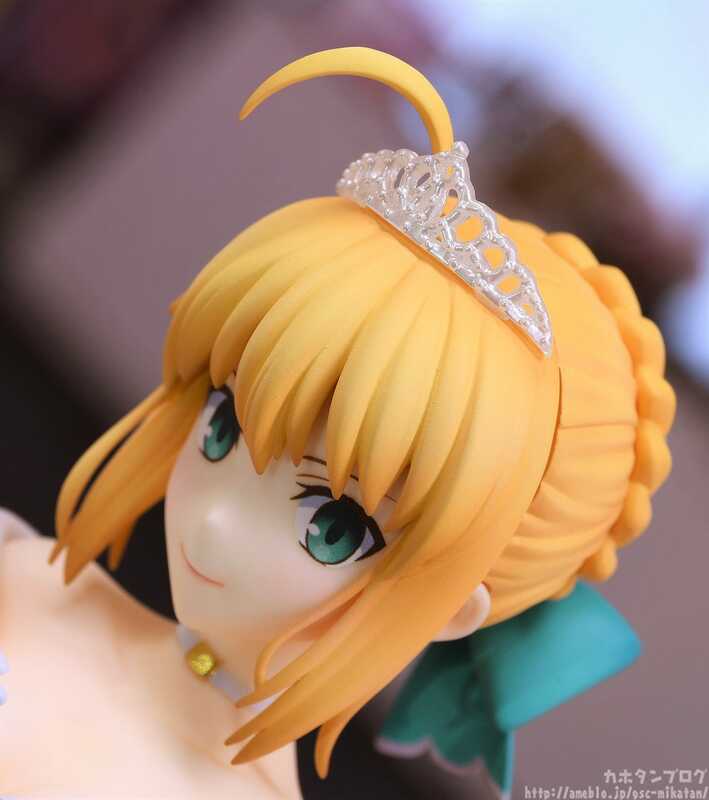 It looks absolutely stunning delicately wrapped around Saber’s shoulders. Next let’s take a look at her skirt! Look at the way it drapes! The draped appearance of the skirt has been captured perfectly! 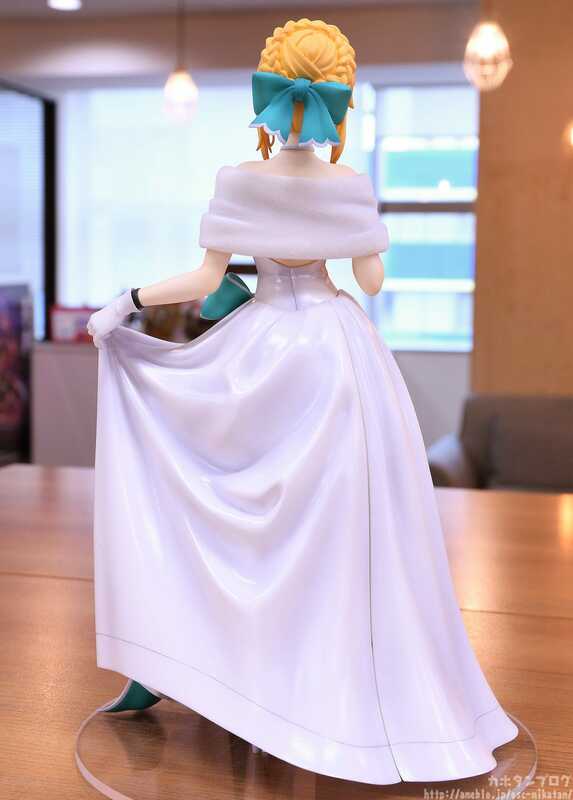 To accurately recreate this effect, gradation has been added to various parts of the skirt. 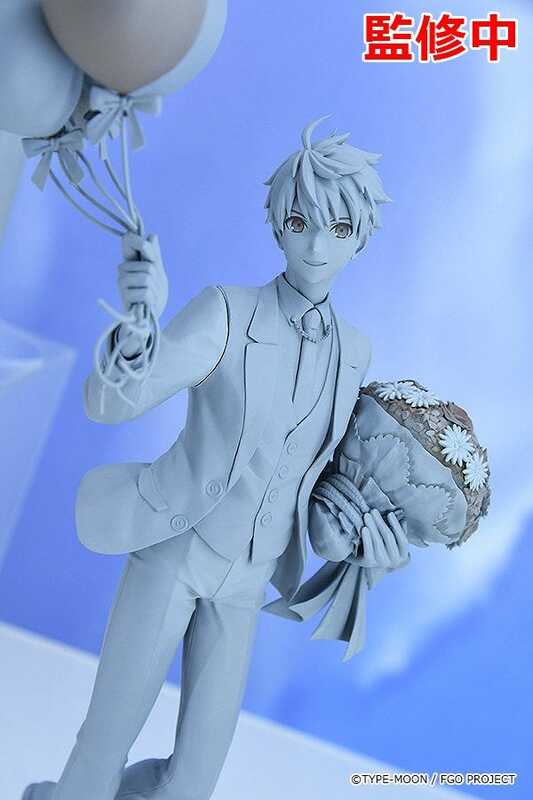 This is kind of sculpt really makes you want to feel the figure! Next let’s look at her eye-catching leg! Her extended leg and pure white pumps. Looking close you can also see a garter belt at the top of her stockings! 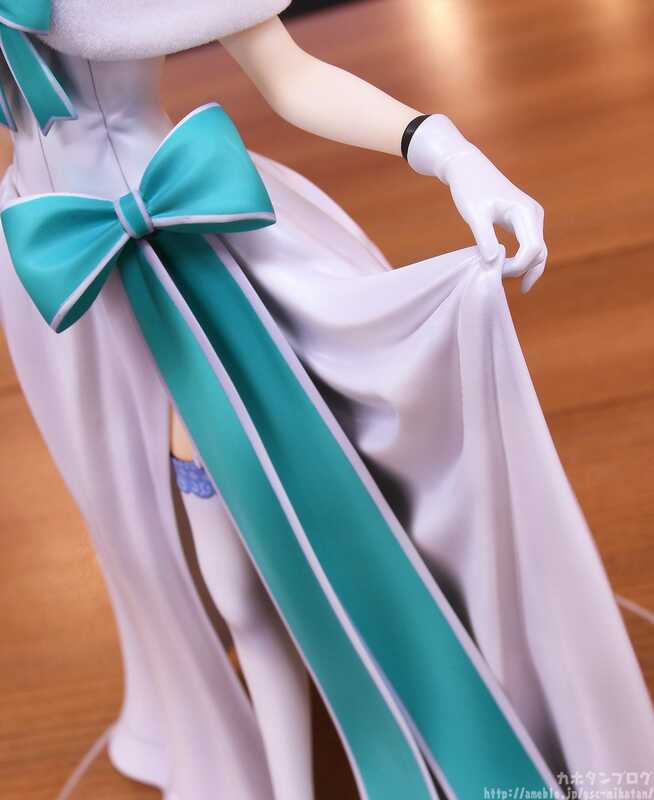 Also note that both of her legs have been faithfully sculpted! 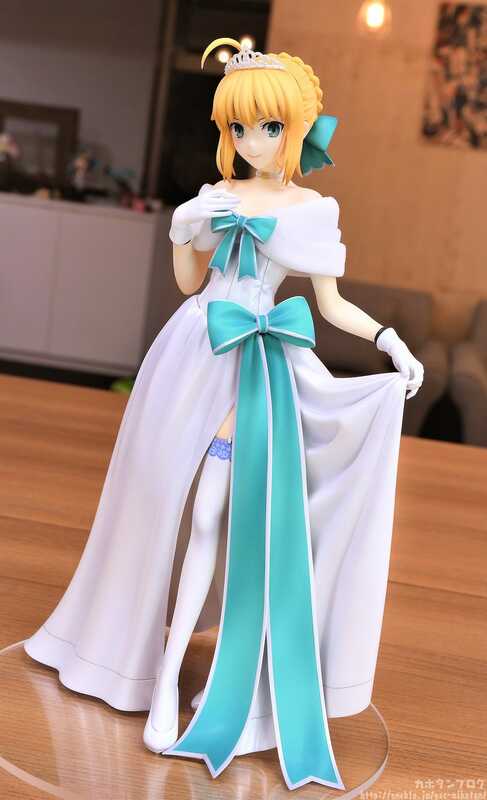 Saber/Arthur Pendragon: Heroic Spirit Formal Dress Ver.